Home / Personal Finance / Could P2P Lending Help Your Finances? One of the financial opportunities becoming increasingly popular in the United States is peer-to-peer (P2P) lending. P2P lending exists to help borrowers and lenders find each other. In many cases, P2P lending allows ordinary people access to financial opportunities that they might not normally have. P2P lending involves lenders (often “regular folks”) offering funds in $25 increments. Borrowers try to raise money a little at a time from several lenders. This way, the borrower receives the money, and lenders can help out . . . without taking a huge risk. Unfortunately for Canadians like me, I found out P2P lending isn’t an available option yet. This is mainly due to having separate provincial securities regulators, instead of one federal regulator like the SEC. The idea is that you can use services like LendingClub and Prosper to lend money to your peers, and receive a return that is competitive with returns you might see elsewhere. 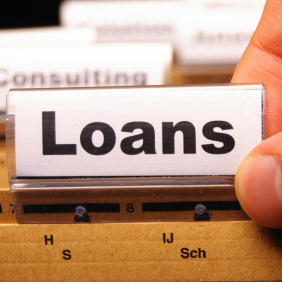 You can also borrow from your peers and get a loan that you might not otherwise qualify for. Whether you are a lender or a borrower, P2P lending might be able to help your finances. If you are looking for better returns on your money, particularly in a low-rate environment like what we have now, P2P lending might be able to help. You can see reasonable returns when you lend money to others. In many cases, it’s possible to see annualized returns of more than 5%. While 5% or 6% doesn’t seem like a big deal when you compare it to long-term stock market returns, it can still be a viable alternative to bonds. Besides, try finding those types of returns when you go to the local bank and open a savings account or even a CD. Of course there are risks. You need to understand that you are lending money to someone else. You are hoping that they will repay the principal, as well as some interest. With P2P lending, you set yourself up to risk losing money if the borrower defaults on the loan. Be aware of that before you decide to invest using P2P lending. With careful screening of borrowers, though, you can reduce your risk. P2P sites rate borrowers’ credit so you can see which are more likely to make on-time payments. Choose those with better credit ratings, and you can improve your chances of being paid. If you want better returns, though, you can invest in notes from borrowers with questionable credit. Take a chance on borrowers with D credit, and you could see much higher returns, as long as there isn’t a default. One strategy is to take a dumbbell approach with P2P investing. On one side, invest half your portfolio in notes with the highest credit rating. On the other side, balance it out with D, E, and F borrowers. For some investors, this works well. Maybe you aren’t in a position to lend money to others. Maybe you want a loan, but have been unable to get one from the bank. In those cases, P2P lending might be able to help. Many borrowers find that they can get a debt consolidation loan, business loan, or some other loan for a lower interest rate than what is offered by a bank or credit card. However, you will need to convince lenders to fund your loan request. As with more traditional lending, your credit score matters. Even though your credit situation matters (and will influence your interest rate), with P2P lending your personal story often matters even more. You need to make a convincing case that you deserve the money and that you are serious about repaying the debt. Realize that, in many cases, websites that facilitate P2P lending run it as an all-or-nothing funding operation. If you don’t raise what you say you need, you don’t receive any of the money. The would-be lenders who did offer you money will have their funds returned to them; they can invest in another borrower. You will also need to make your payments as agreed, or risk seeing a hit to your credit score. Before you jump into P2P lending, carefully consider your options and your situation. I believe it can be a great way to get a nice return on your money but unfortunately I can’t participate in Canada yet. However, those of you in the U.S. can benefit from P2P lending – but you need to make sure it works for you, whether you decide to lend money to others, or whether you decide to borrow. Have you tried P2P lending? Has it worked out for you? Leave a comment! Tom Drake is a husband and father, as well as the writer behind the well-known Canadian Finance Blog. He covers budgeting and investing for a mostly Canadian audience, but the topics often apply universally. One Response to Could P2P Lending Help Your Finances?